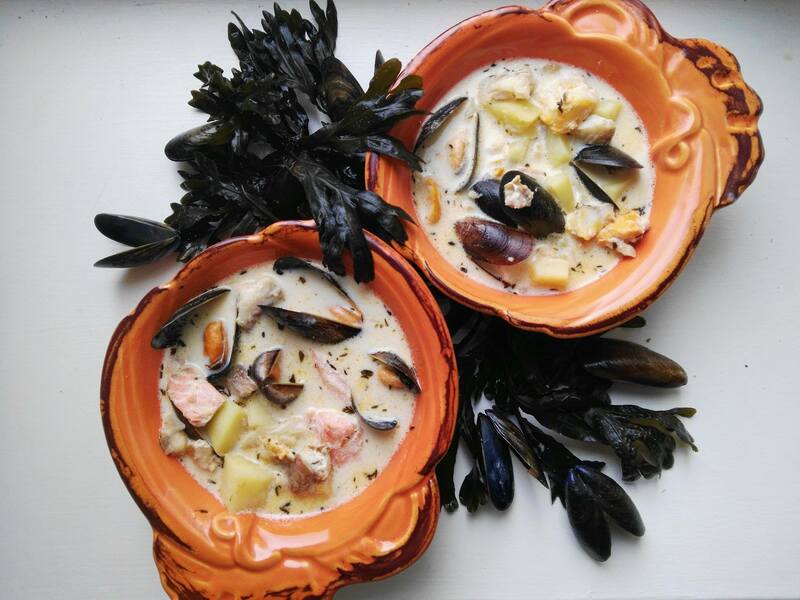 As a youngster growing up by the sea in Donegal – my parents instilled in me a great love and appreciation for seafood. I have many fond memories clambering rocks in my wellies – and gathering mussels and periwinkles with my Dad. So, making a chowder allows me recreate a big bowl of homeliness. 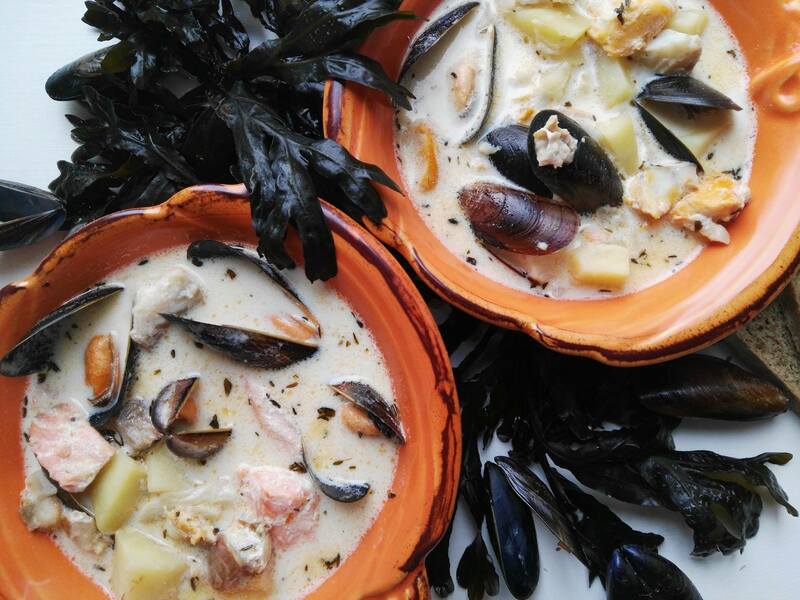 Chowder is just so comforting with a slice of Irish soda bread on the side – and to create a really good chowder, it’s best to get the freshest fish available. As I now live in Galway, Gannet Fish Mongers or Galway Bay Seafoods are my preferable suppliers. Also, if you buy from a local fish monger – they can tell you exactly where the catch has come from. So, for me – I can still get my odd Donegal catch!! 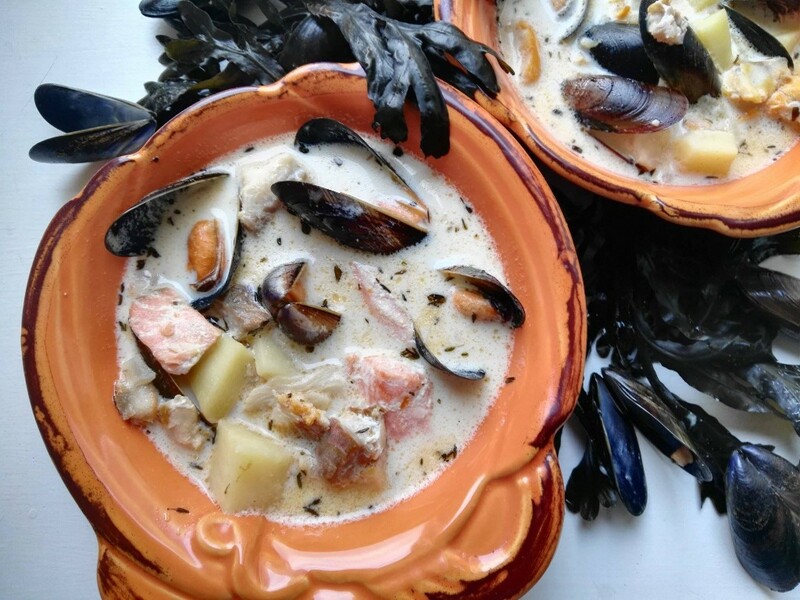 You can vary your chowder with this recipe – by perhaps using clams instead of mussels, or use both if available. The world is your oyster, so to speak! Melt the butter over a medium-high heat and fry off your onion and garlic until soft. Add the bacon bits and fry those off for a further 2 minutes. Next, add your thyme, a little pinch of sea salt, some pepper and the potato cubes. Fry this for a further 3-4 minutes. Add all of the fish stock and the bay leaf. 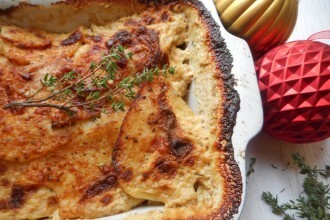 Cover the pot and gently simmer for 10 minutes until the potatoes are tender but still firm. Stir in the milk and then add the fish pieces and mussels, allow to gently simmer for 4 minutes. Add the cream – and gently stir through over the heat for a minute. Remove any unopened mussels and discard. 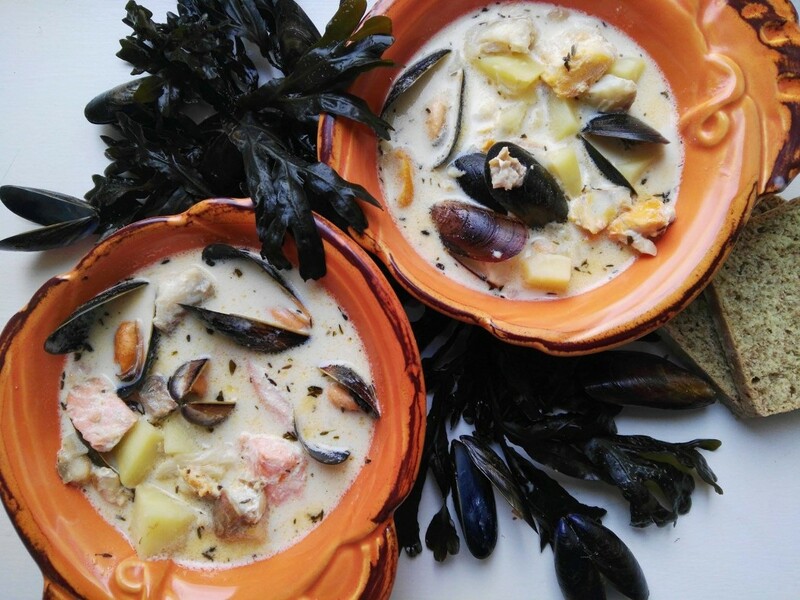 Serve the chowder in some deep bowls with some Irish soda bread and butter on the side.